Its been over a month, i never update my blog again, i do wanted to share my story but part of my job makes me little bit lazy to write even to open my blog. First of all, i would like to say happy ramadhan, happy fasting time, minal aidzin wal faidzin for all the moslems people in the world. 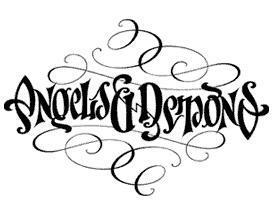 may this month be peaceful month for all, amien. Actually…I haven’t much story to tell you about, but the best moment i had when we were visiting to one of the largest mosque in the United Arab Emirates. July 3rd 2010, that was my first time went to Abu Dhabi, since i’ve been here 11 months ago, the distance from Sharjah to Abu Dhabi the capital city of UAE (about more than 2 hours by car) makes me little bit lazy to go there, instead some friends said that Abu Dhabi also isn’t very interesting to visited. 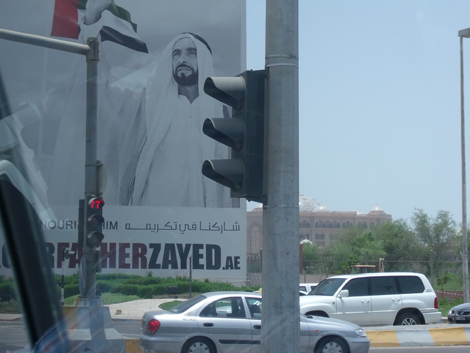 There is no many place we could visited in Abu Dhabi, especially when the weather is not friendly, that time its almost reach 45-50 degree celcius during day time. Qornish is a loved one but it’s very hot and seems not a good way to have fun in open place. 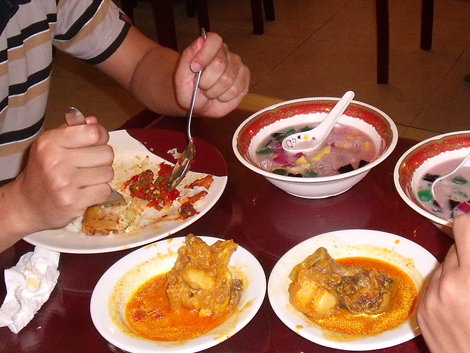 So we were deciding to go to Sari Rasa, one of the best indonesian restaurant in Abu Dhabi. 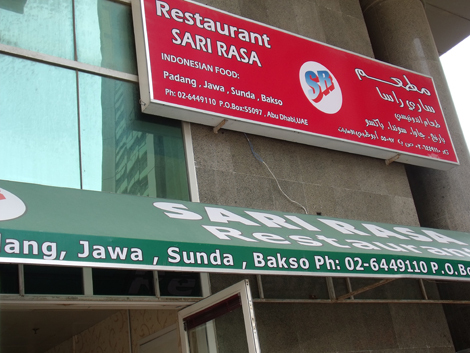 Sari Rasa is one of the best indonesian foods in UAE, beside Sari Nusa (Dubai) and Kafe Betawi (Dubai). as i have posted on my blog about Kafe Betawi, Sari Rasa is the good ones more delicious i think than Kafe Betawi. I served some indonesian foods like sambal ati kentang, kikil, tahu isi and es teler. After finished our lunch we went to Al Zayed Mosque, according wikipedia Sheikh Zayed Mosque was named after Sheikh Zayed bin Sultan Al Nahyan, the founder and the first President of the United Arab Emirates, who was buried at the Mosque site after his death on 03 November 2004. 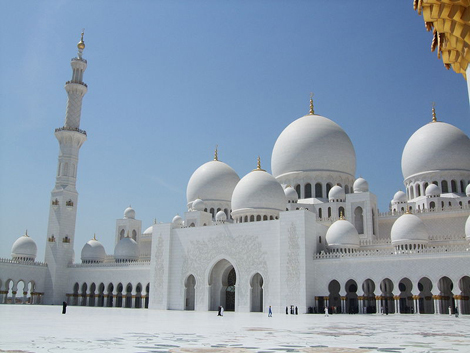 The Sheikh Zayed Mosque is the third largest in the world according to the General Secretariat Organisation of Islamic Countries (OIC), the Research Centre for Islamic History, Art and Culture in Turkey. The two mosques in Mecca and Medina in Saudi Arabia are larger. 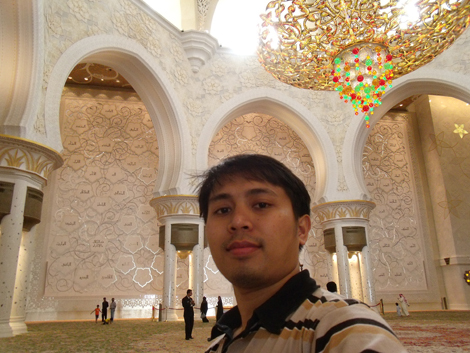 you may search on google if you want to know more about the history of Al Zayed Mosque :).